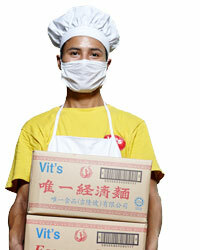 We command high standards in the quality of our noodles and this is achieved through years of experience and expertise with the aid of modern technology and techniques. All products are tested under strict quality controls from production to delivery so to ensure its reliability in the marketplace are safeguarded. Our emphasis on research & development is factor that usher us ahead of our competitors and to make sure that our customer needs taken care of. Hence, we arrogantly assured that we are your definite choice of noodle expert. We have always taken research and development very seriously on our quest to improve our current products in various aspects, to preserve traditions and to open new doors through innovation and creativity. Believing in making a difference, our R&D team are the experts who have constantly usher us towards the compatible track. Constant observation on the market trends and needs to help us improve. Explore new product varieties, textures & recipes. Uncover traditional and ethic recipes throughout Malaysia and beyond. Innovate natural techniques to conserve and prolong the shelf life of noodles without compromising on their nutritional value. Discover techniques that retain optimal nutritional value of noodles. Reinforce on friendlier packaging to reduce environmental stress. Reliability is a priority when it comes to our products, as it carries a statement of approval in terms of nutritional value, shelf life, hygiene and safety. 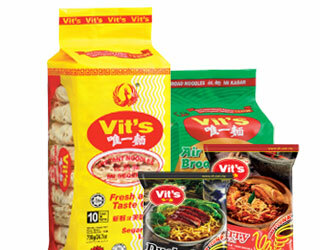 Our products are proudly made in Malaysia and have gained HACCP, GMP and Halal certification. We pride ourselves for achieving these standards and will continue to aim higher in forthcoming years. All products are strictly tested and checked to ensure accredited standards are attained at all times.